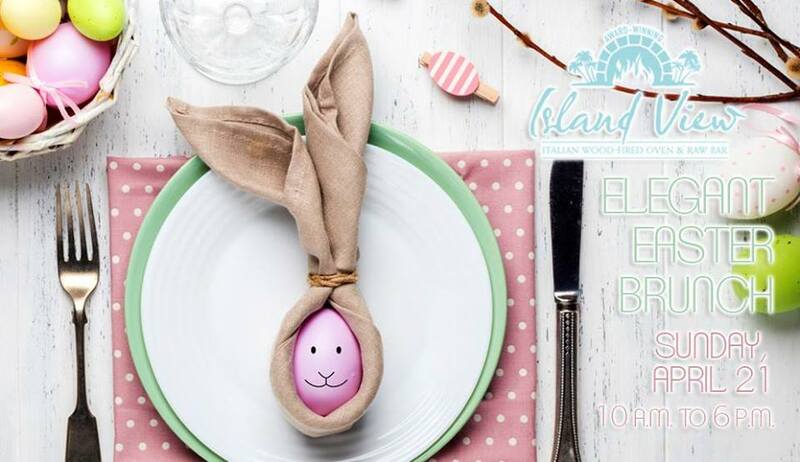 Come join our Island View family for a beautiful Easter brunch, featuring breakfast items, a chef's omelet station, carving station, entreés and side dishes, assorted salads and desserts. This is an all-ages, family fun gathering that is sure to be the golden egg topper of your bountiful Easter basket! The cost remains the same as in years past, $29.95 per person, $14.95 for children ages 5 to 12, and free for children 4 and under. Please be sure to RSVP to ensure your spot in the this beautiful Easter brunch in paradise. Seating is available between 10 a.m. and 6 p.m. We hope to see you and your family during this wonderful holiday!